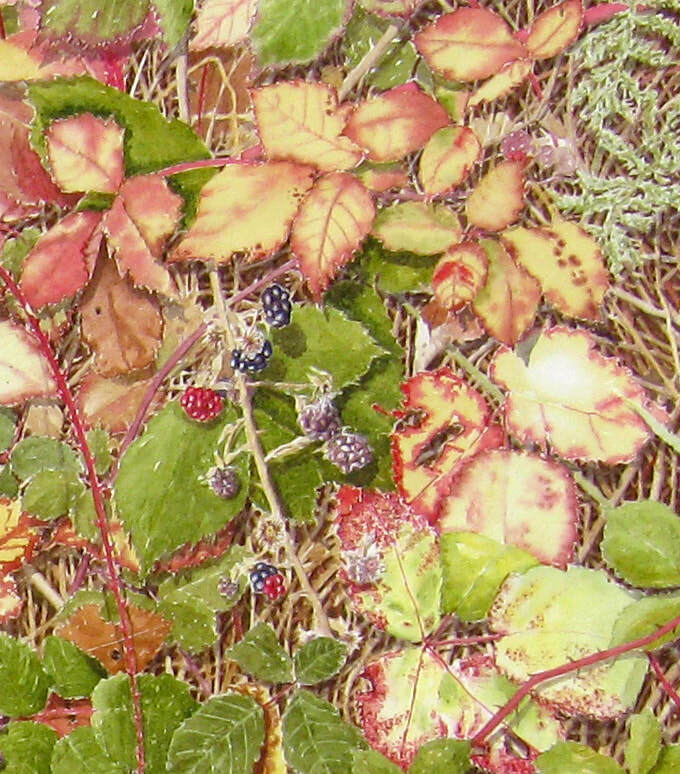 The wonderful world of blackberry brambles in the fall. 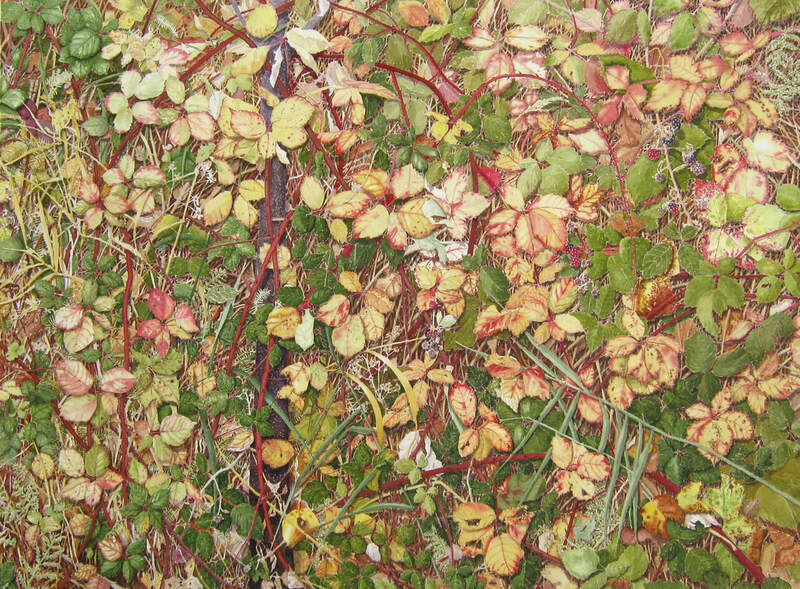 This watercolor painting invites you to climb in, crawl around and see the delicious details of the rambling blackberry bush. Depth, color and detail in this painting entertain the eye and fulfill the senses. Painting this was like a meditation; I would get lost in the tiny details for hours. It was a very long meditation.